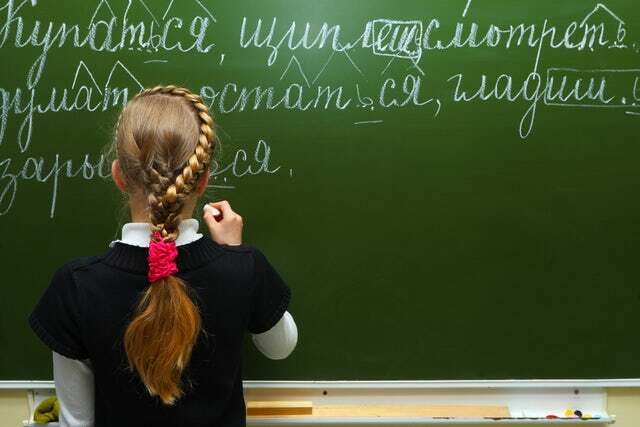 Russian is the most widely spoken Slavic language with Russian Federation, Belarus, Kazakhstan, and Kyrgyzstan using it as the official language. Other countries that widely speak it although unofficially includes Ukraine, Moldova, Latvia, Lithuania, Estonia as well as other republics that were part of the soviet bloc. It is the largest natively spoken language in Europe with a whopping 144 million people speaking it. It is the eighth most spoken language by native speakers and 5th most spoken language worldwide. You will find the language being spoken in Russia, post-Soviet states, Germany, Israel, United States, Canada, and other parts of Western Europe. Below are the common Russian phrases that you should learn. 5. Kak dolgo ti izuchayesh’ russkiy yazik? - How long have you been studying Russian? 10. Vi govoRIte po angliyski? - Do you speak English? I have acumen for languages and even I agree that Russian is one of the hardest languages to learn. It uses more consonants than vowels and you will have a word with 4 or 5 consonants following each other - how you are supposed to pronounce that, I do not know. The language is notoriously hard to memorize. However, most Russian speakers know this and will excuse you for your strong accent. Just pick a few phrases that you need to use on a day to day basis and the rest will come to you as you practice more.